As we grow older, our lives become more hectic, busy, and difficult. We realize that it was easier being a kid, not having any responsibilities or things to worry about. And as we start having kids ourselves, we realize how hard parenting can be. We suddenly feel guilty for giving our parents a hard time about being terrible parents, now realizing they were actually pretty great parents. Now you have to prove yourself. You have to balance your kids in with your work life, your relationship, and taking care of the house and chores. But what are you going to do with them during your work hours, are you going to drop them off at a friends house, hire someone to watch them in your home, or bring them to a daycare. How are you supposed to know which is best for them and their development? 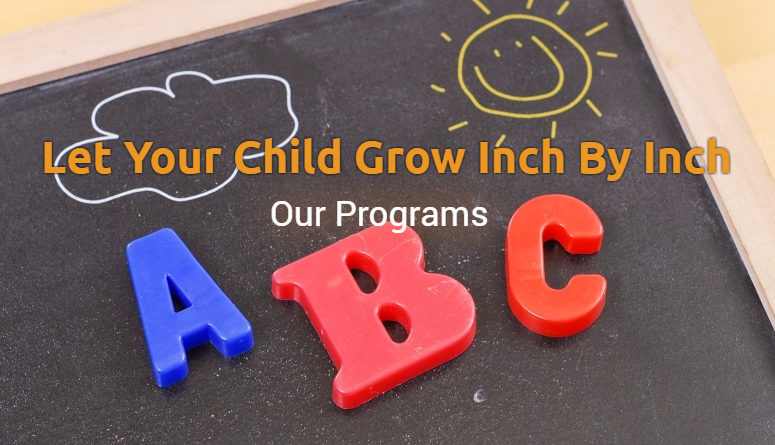 At Inch by Inch Child Care, we take care of your children, allowing them to learn through hands on experiences, providing an engaging environment for them, and giving them nutritious snacks throughout the day. We do all of these things, not only to help your child, but to also help you, taking the stress and worry away from your children, so you can focus on your day.Whether you need daycare for your little tot, or before and after school program, we can help. 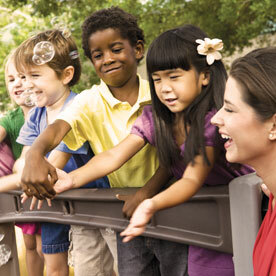 Our daycare is open to infants that are at least eight weeks old, up to kids in pre-kindergarten. 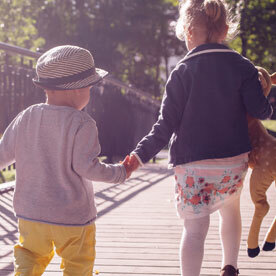 This allows parents with kids not yet in grade school to have a place where their kids can learn, play, and be taken care of by nurturing caregivers. As your child gets older, our teachers will help with each child’s development, helping with language, cognitive, and self help skills. 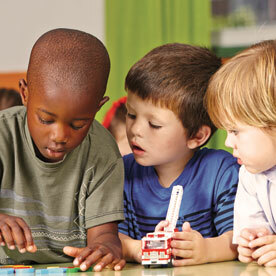 From preschool to pre-k your child will be improving upon their reading, writing, and math skills. The Inch by Inch daycare program is perfect for parents with infants or toddlers. 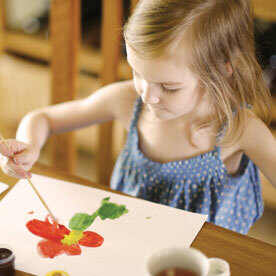 It allows the parents to go back to work and helps their children in many areas of learning and development. This is every parent’s hope for their child while they go back to work—a caring, stimulating environment that allows their child to get the best possible care and learn new skills. When your child is older, in grade school, it is harder to find quality care for them during the hours before and after school. Sometime the school offers a after school program, conveniently in the same building, but they may not be the best decision for your children. Our before and after school programs are perfect for parents who go to work earlier than their child goes to school. We provide a bus system with some schools in the Bedford area, allowing for parents to drop their kids off at our center without having to worry about how they will get to and from school. Our programs allow your child to relax before and after school, play games with other students, and even receive help with homework. Children from kindergarten to 6th grade will be engaged with other students and learning in our stimulating environment. This takes the stress and rush out of getting your kid to school and getting to work on time. It also diminishes the worry of your child making it home from school on their own, or missing the bus and being stranded. Inch by Inch is here for parent’s convenience, we want to make your busy life a little easier, while also enhancing your child’s learning and development. Now the question is, what are you supposed to do with your kids while they are on summer break, but you still have to work daily? Inch by Inch offers a summer camp, full of fun, adventures, field trips, and engaging activities. Our summer camp keeps your kids learning, playing, and busy throughout the summer. Stop worrying about your kids being stuck inside watching television all day, or getting into trouble when nobody’s watching, our summer camp will be a fun way for them to get out, learn, and make new friends! Inch by Inch Child Care is a great way for parents to get their kids the care they need while also teaching them new skills, allowing them to explore, and helping them develop their skills. To get your child engaged in a great environment, check out our programs and schedule a tour today! !